Pachycephalosaurs, along with other dinosaurs, have been found at polar latitudes. All those found have also been found at lower latitudes, so they don’t seem to have been adapted just to polar conditions. 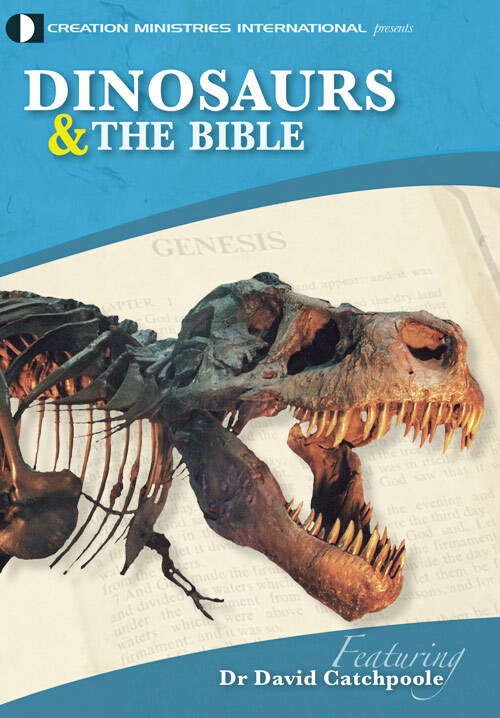 This presents a quandary for uniformitarian explanations of dinosaur life and death. But because of these polar discoveries, the idea that dinosaurs were tropical beasts has been changed, ushering in ideas about ‘warm-blooded dinosaurs’ in order to survive the cold. 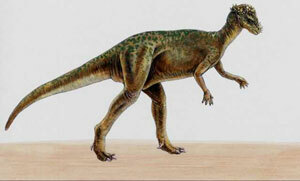 However, the physiology of dinosaurs has been the subject of much controversy. It is still not known whether or not dinosaurs were warm-blooded (endothermic)10 as there are many physiological differences between species. Many paleontologists believe the dinosaurs possessed a unique physiology between warm-blooded and cold-blooded. How could dinosaurs live at polar latitudes? All dinosaur fossils found at high latitudes are also found at lower latitudes; it appears there were no dinosaurs adapted just to polar locations. Large body size has also been invoked to explain survival in the cold.17 However, many of the discovered dinosaur species are relatively small. The belief that dinosaurs lived in prolonged winter darkness in a relatively cold ‘Mesozoic’ climate dispels the idea that they died out from a slow cooling. It also discredits the idea the dinosaurs died from abrupt cooling caused by ‘meteor impact or a volcanic winter’, resulting from dust and very small particles being injected into the stratosphere and blocking out some of the sunlight. Although uniformitarian scientists are searching for ways to explain polar dinosaurs, there are indications that polar latitudes were once much warmer than today. Cold-blooded tetrapods, such as crocodiles, turtles, and some amphibians, have been found in southeast Australia with the dinosaurs.10 Southeast Australia was assumed to lie within the Arctic Circle at the time. Based on modern counterparts, these tetrapods cannot live during prolonged cold spells. Such a climate would be exceedingly difficult to resolve in a uniformitarian construct given the conditions stated above by Poulsen. Oard, ref. 1, p. 47. Return to text. Gangloff, R.A., Fiorillo, A.R. and Norton, D.W., The first pachycephalosaurine (dinosaurian) from the paleo-Arctic of Alaska and its paleogeographic implications, Journal of Paleontology 79(5):997–1001, 2005. Return to text. Case, J.A., Martin, J.E., Chaney, D.S., Reguero, M., Marenssi, S.A., Sanillana, S.M. and Woodburne, M.O., The first duck-billed dinosaur (family Hadrosauridae) from Antarctica, Journal of Vertebrate Paleontology 20:612–614, 2000. Return to text. Fiorillo, A.R., The dinosaurs of the Arctic Alaska. Scientific American 291(6), p. 89, 2004. Return to text. Gangloff et al., ref. 3, p. 997. Return to text. Fiorillo, A.R. and Gangloff, R.A., Theropod teeth from the Prince Creek Formation (Cretaceous) of northern Alaska, with speculations on Arctic dinosaur paleoecology, Journal of Vertebrate Paleontology 20(4), p. 676, 2000. Return to text. 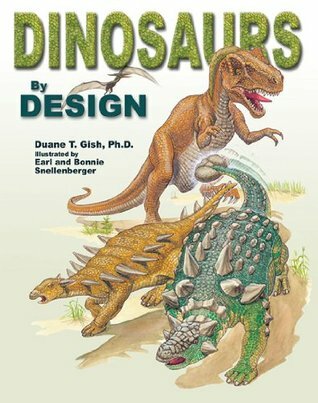 Rich, T.H., Vickers-Rich, P. and Gangloff, R.A., Polar dinosaurs, Science 295, p. 980, 2002. Return to text. Rich et al., ref. 8, p. 979. Return to text. Buffetaut, E., Polar dinosaurs and the question of dinosaur extinction: a brief review, Palaeogeography, Palaeoclimatology, Palaeoecology 214:225–231, 2004. Return to text. Fiorillo, ref. 5, p. 86. Return to text. Fiorillo, ref. 5, p. 88. Return to text. Fiorillo and Gangloff, ref. 7, pp. 675–682. Return to text. Fiorillo, ref. 5, p. 90. Return to text. Fiorillo and Gangloff, ref. 7, p. 677. Return to text. Fiorillo, A.R. and Gangloff, R.A., The caribou migration model for Arctic hadrosaurs (Dinosauria: Ornithischia): a reassessment, Historical Biology 15:323–334, 2001. Return to text. Fiorillo and Gangloff, ref. 16, p. 331. Return to text. Buffetaut, ref. 10, p. 228. Return to text. Oard, M.J., A tropical reptile in the ‘Cretaceous’ Arctic; paleofauna challenge to uniformitarianism, Journal of Creation 14(2):9–10, 2000. Return to text. Oard, M.J., Cold oxygen isotope values add to the mystery of warm climate wood in NE Canada, Journal of Creation 17 (1):3–5, 2003. Return to text. Jenkyns, H.C., Forster, A., Schouten, S. and Sinnighhe Damsté, J.S., High temperatures in the Late Cretaceous Arctic Ocean, Nature 432:888–892, 2004. Return to text. Poulsen, C.J., A balmy Arctic, Nature 432:814–815, 2004. Return to text. Jenkyns et al., ref. 22, p. 889. Return to text. Poulsen, ref. 23, p. 815. Return to text. Poulsen, ref. 23, p. 814. Return to text. Jenkyns et al., ref. 22, p. 891. Return to text. Oard, ref. 20, p. 10. Return to text. Oard, ref. 21, p. 4. Return to text.